For a nothing less than incredibly stylish look, wear a green pea coat with black dress pants. Rock a pair of Robert Graham Wensley Cap Toe Derby for a more relaxed feel. 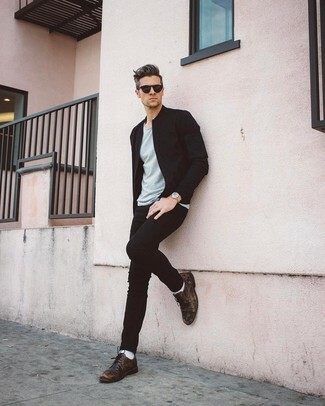 If you're searching for a casual yet stylish ensemble, pair a black bomber jacket with black skinny jeans. These pieces are super comfortable and will look great together. Amp up the cool of your look by complementing it with Robert Graham dark brown leather derby shoes. 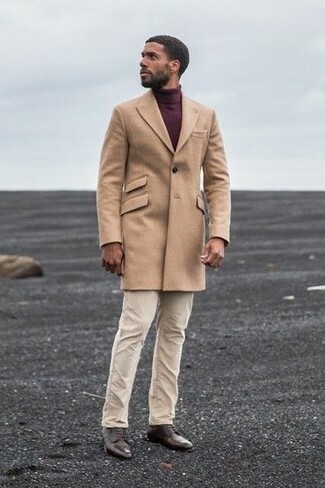 For a casually elegant look, go for a camel overcoat and beige chinos — these pieces go really nice together. Round off your ensemble with Robert Graham Wensley Cap Toe Derby from Nordstrom. Rock an aquamarine crew-neck sweater with black dress pants for a sharp, fashionable look. When it comes to footwear, this ensemble is finished off wonderfully with Robert Graham Wensley Cap Toe Derby from Nordstrom. 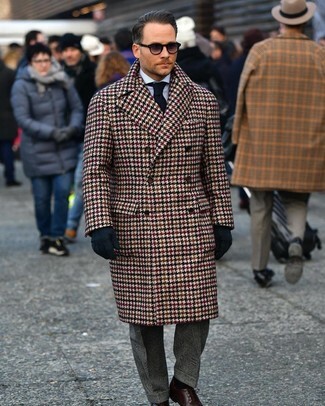 For a nothing less than incredibly stylish ensemble, make a brown houndstooth overcoat and charcoal plaid dress pants your outfit choice. 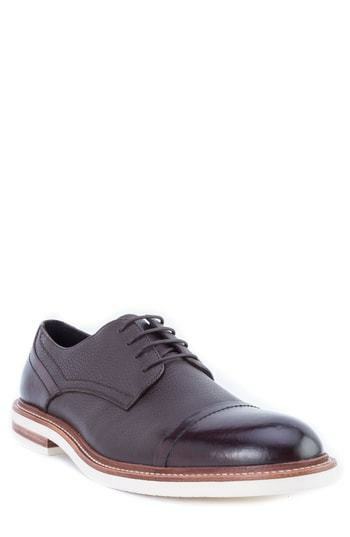 Add a more relaxed twist to your ensemble with Robert Graham dark brown leather derby shoes. 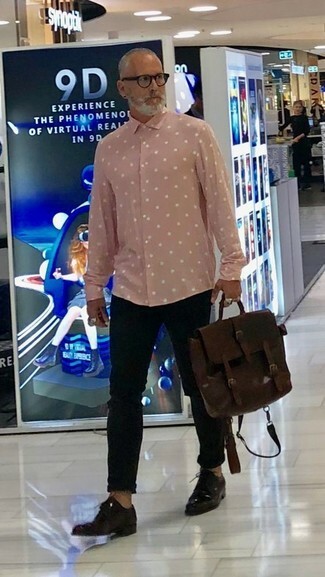 If you're on a mission for a casual yet seriously stylish look, dress in a pink polka dot long sleeve shirt and black chinos. As well as totally comfortable, these garments look wonderful when paired together. Tap into some David Gandy dapperness and complete your ensemble with Robert Graham dark brown leather derby shoes. 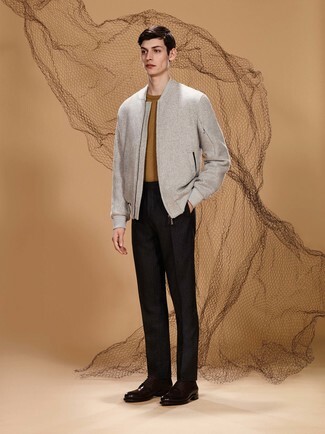 For a casually elegant getup, pair a grey wool bomber jacket with black vertical striped dress pants — these items fit nicely together. 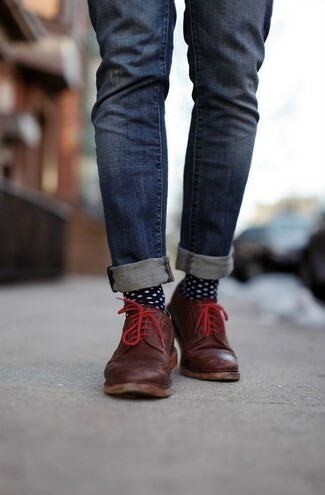 When it comes to footwear, this outfit is finished off perfectly with dark brown leather derby shoes. 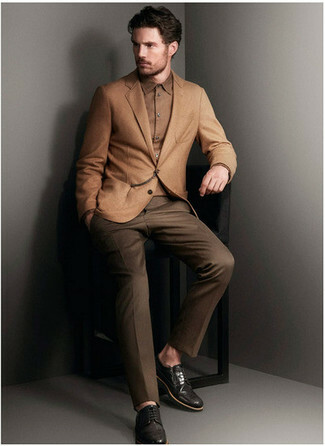 For a nothing less than incredibly stylish outfit, choose a brown wool blazer and dark brown dress pants. For something more on the daring side to complement this getup, throw in a pair of Robert Graham Wensley Cap Toe Derby.